Imagine you are 25 years old and you have just been diagnosed with a terminal illness. Your physician says that you have 6-12 months to live. The shock begins to set in as you start to think about all the things you won’t have time to do anymore. Even if we assume that you don’t have a spouse or a child to provide for, there is a bigger problem with your last year on Earth—you have no money. At age 25 you haven’t had the time to build enough wealth for you to see the world while you still can. What options would you have for your final year? If you had a life insurance policy, there was an option. Enter the viatical. A viatical is a contract where a terminally ill individual (“the seller”) assigns their life insurance beneficiary rights to an investor (“the buyer”) for a lump sum payment today. For example, if you had a $100,000 life insurance policy with a life expectancy of 6-12 months, you could probably sell your policy for ~$80,000 today. After selling, the buyer would pay your insurance premiums and when you died they would receive the full value of your policy ($100,000). This contract type is known as reverse life insurance and has been used to provide liquidity to those without other funding sources in their last months/years of life. 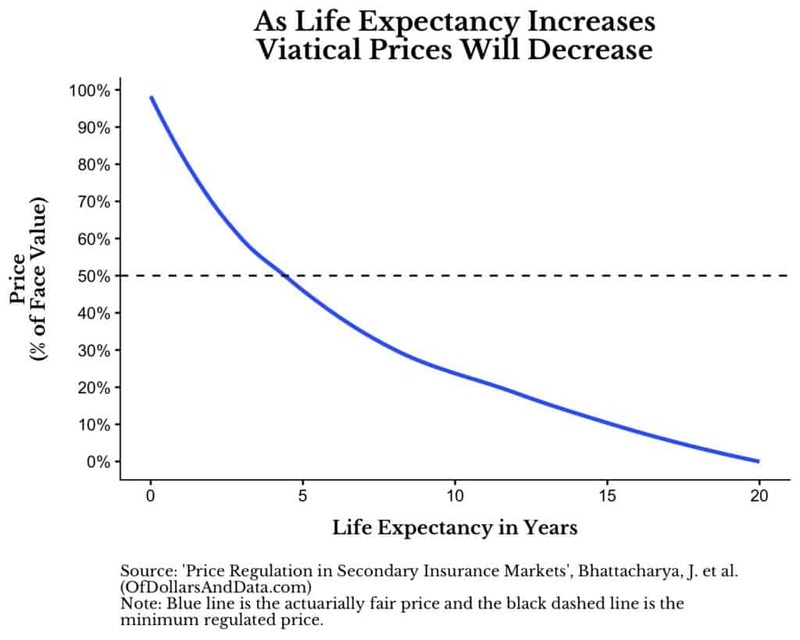 By definition, viaticals are for sellers with a life expectancy less than two years, while life settlements are for those with a life expectancy greater than two years. Despite how cryptic it may seem, reverse life insurance became quite popular during the HIV/AIDS epidemic in the late 1980s/early 1990s. Since most of the individuals affected by HIV /AIDS were younger males with no families (i.e. men like Freddie Mercury from Queen, Eazy-E from N.W.A., etc. ), the idea of liquidating a life insurance policy made sense. After all, what was the point of having your life insurance payout go to someone who didn’t need the money when you could have some of it for yourself? However, not all individuals used their viatical payouts solely on themselves. In fact, some viatical sellers used their payouts to fund research to fight HIV/AIDS. And it worked. In December 1995, the viatical market began to collapse after antiviral retrotherapy drugs started to hit the market, thus greatly increasing the life expectancy of those who had HIV/AIDS. Ironically, the very individuals who were profiting off of the HIV/AIDS epidemic (“the buyers”), helped fund their own future losses. If you really think about this result, it’s quite beautiful. The viatical market helped to end the AIDS epidemic more quickly than in a world without viaticals. However, I can also understand the outrage over such an investment vehicle because viaticals seem so unethical—when someone dies, someone else makes money. I get it. I wouldn’t invest in a viatical or recommend one either. However, what right do we have to deny someone liquidity if they want it in their final days? As long as all parties are well informed, should we prevent such transactions from occurring? As you can see, with higher life expectancy, the expected payout drops because of the time value of money and the increased number of insurance premiums paid by the buyer. I have included a dashed line at 50% as a hypothetical price floor on the payout of the policy. The problem with this price floor is that it cuts anyone with a life expectancy of 5 years or more out of the market completely (since no buyer would pay 50% or more for one of those policies). While at face value (no pun intended) a price floor seems reasonable to deter predatory pricing, it unknowingly also prevents certain transactions from ever occurring. The same thinking can be applied to the payday loan market where interest rate caps have prevented the neediest members of society from having liquidity to pay for recurring living expenses. Ironically, the people who need the funding the most can’t get it in certain states due to regulatory policies. While payday loan regulation is a far more complex topic than what I wanted to discuss today, regulating controversial markets such as payday loans and viaticals will never be an easy task. However, I urge you not to jump to conclusions too quickly. As someone who has family that have relied on payday loans, I can tell you that they can be a lifesaver in the right circumstances, so keep an open mind. Almost all financial regulation is a sort of balancing act between freedom and safety. We want consumers to be free to make their own choices, but we also want them to be safe from bad actors. In viatical markets, price floors restrict freedom for sellers in order to provide safety so that they are not taken advantage of. In securities markets, the SEC restricts freedom of information exchange (i.e. inside trading) in order to keep all shareholders safe from unfair market advantages (at least in theory). These all come back to the tradeoffs we make as a society. My point in writing this piece was to illustrate these tradeoffs and how we shouldn’t always jump to conclusions so quickly on what should and should not be allowed. While the viatical market may be the most ugly, controversial market out there, it is also partially responsible for accelerating the fight against a debilitating disease that caused so much pain for so many people. Even the blackest of clouds have silver linings. Thank you for reading! While I’m not surprised there’s a market for dealing life insurance contracts of the soon-to-be-deceased, hearing if it’s actual existence caught me off guard. Very interesting read and look forward to reading more of what you have to say. Got very deep into life settlements. In some states, life insurance agents are required to notify clients that selling their contract is an option in the event the client expresses a desire to surrender the contract. My firm ultimately decided it wasn’t worth the headline risk. If enough asset owners come to the same conclusion, the expected returns will continue to be high. I haven’t invested in Viaticals but did learn about them during my research before investing in Life Settlements – really the same thing but with longer life expectancies. Although at first glance it feels and sounds very morbid, the secondary market is a win/win for both investor and policyholder. Insurance companies don’t make money by paying out every policy they underwrite. Instead, they make their money from all those policies that either laps (people stop making premium payments) or when people surrender the policy for the cash value. Many times policyholders can get 3-4X the cash surrender value that the life insurance company is offering on the secondary market through investors. I personally invest in life settlements through a specific filter. The policies I have invested in are policies that the insured/policyholder no longer need in place because they are now self-insured, their beneficiary (i.e. spouse) may have passed away, or they need the money to pay for healthcare/living expenses in the remaining years. They typically are in their eighties with seven years or less in expectancy. I read somewhere that Warren Buffett invests upwards of $400M a year in this asset class. They have historically performed well 10-14% returns with zero correlation to financial markets. 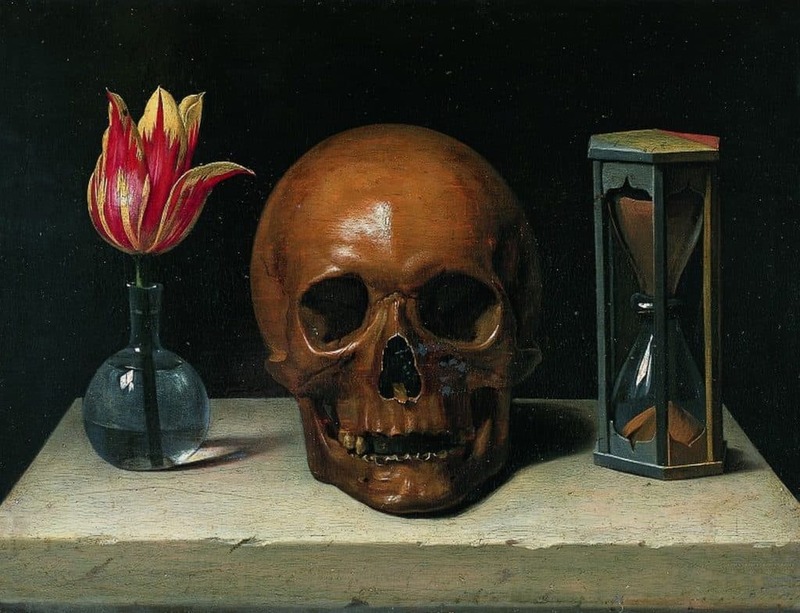 The big risk is the calculated life expectancy. If the person lives longer than expected it does lower returns. I have no problem providing liquidity to someone that was going to surrender the policy anyways. They get significantly more money now and investors get a robust return. I thought it was a pretty novel offering. Not ashamed to say that I would consider it!